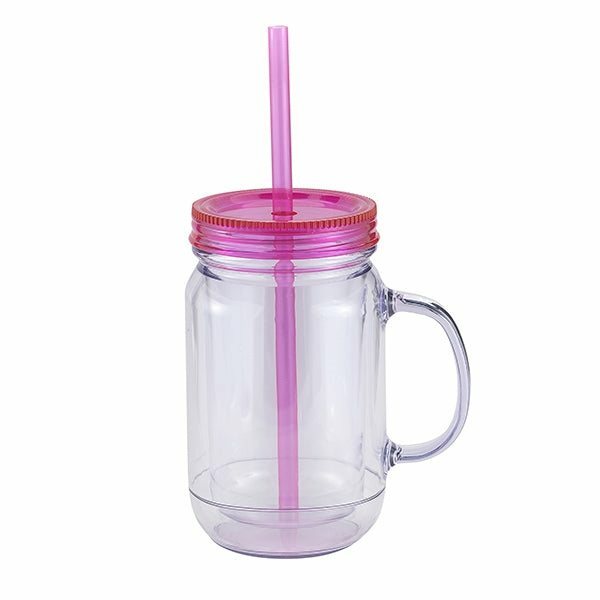 20 oz double wall plastic mason jar. Assorted lid colors and matching straws. Available with paper,film or glitter insert. the color was brilliant. When you order from an online photo, you never know if the product will look "cheesy" in person. This was great! the Logo was very clear and the size was better than I expected. Good quality, product turned out nice. You can expect with a giveaway of this type. These look wonderful within our computer labs. Everything looked great!